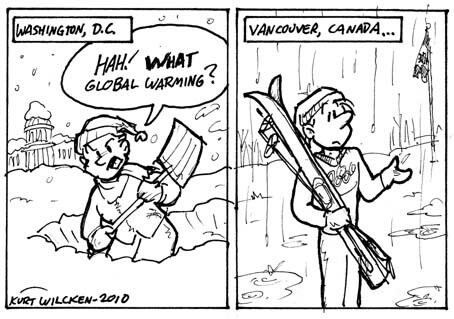 In Feburary of 2010, the East Coast got socked by a severe snowstorm. Washington D.C. was particularly affected. At the same time, on the other side of the continent, the Winter Olympics being held in Vancouver had to reschedule several of its events because of rain and a lack of snow.